Even in this case the FollowMe can be attached. Our special SRAM adapter is needed. 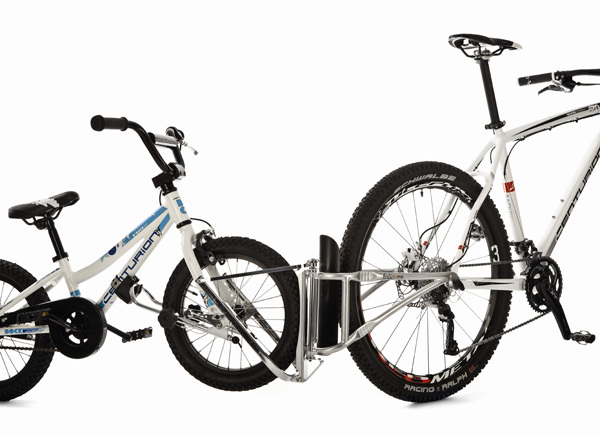 After use and when the child is not being towed, the FollowMe is attached to the rack or saddle. Is there a back light as shown at the rack, it makes it difficult to get the belt on. In this case our special “Top Light” bracket is needed. A standard down tube is essential. 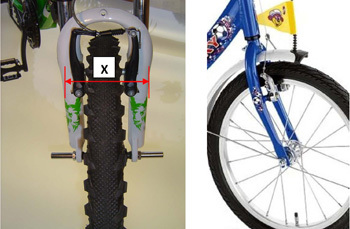 The centre of the axle must be lower than the fork ends. For quick release axles, our special FollowMe axle is needed.